The arrival of 2019 heralds some very important anniversaries: Hudson River Sloop CLEARWATER was launched and the National Environmental Policy Act passed in 1969, and Pete Seeger was born in 1919. Hudson River Maritime Museum’s exhibit “Rescuing the River: 50 Years of Environmental Activism on the Hudson” is opening and the sloop CLEARWATER will be there to celebrate! Please join us for this celebration of CLEARWATER, the Hudson River, and the role we all play in keeping it clean. Come to WoodenBoat’s Brooklin campus where Mick Delap, a writer, historian and avid sailor in retirement after a career in journalism at the BBC, and The Apprenticeshop founder Lance Lee will host an interestingly presented history of the Bantry Bay gigs of Atlantic Challenge International fame from 7 to 9 p.m.
Mick Delap, a writer, historian and avid sailor in retirement after a career in journalism at the BBC, and The Apprenticeshop founder Lance Lee will host an interestingly presented history of the Bantry Bay gigs of Atlantic Challenge International fame from 6 to 9 p.m.
Delap, with a cast of actors, will perform a theatrical version of important moments in the gigs’ history accompanied by a duo from Belfast, Maine, who will play Irish music on authentic instruments. Join us for the 24th annual Wings Wheels & Keels Show held at Hummel Field in Middlesex County Va. on Saturday September 28th, 2019, 8am - 4pm. Classic auto, airplane fly in, and boat show. Visit our website (www.wingswheelskeels.com) for exhibitor registration and additional information. Hummel Airfield, 2541 Greys Pt. Rd. Topping Va. 23169. Contact Buz Jones at 804-334-9869 or buzman1719@gmail.com for any questions. The Hudson River Greenland Festival attracts participants of all levels as well as talented and renowned mentors from many different regions, including Greenland. We strive to pass along traditional kayaking skills in a “Pay it Forward” method...by observing...by learning...by teaching. The Clearwater Festival (aka “The Great Hudson River Revival” or “Revival”) features seven sustainably powered stages with diverse music, dance, storytelling and family-oriented programming as well as a juried Handcrafters’ Village, the Green Living Expo, the Working Waterfront with small boat exhibits and rides, the Artisanal Food & Farm Market, environmental education displays and exhibits, and the Circle of Song where audience participation is the focus. The Hudson River Sloop CLEARWATER was launched in South Bristol, Maine on May 17, 1969. The dream began in 1964, a time when the Hudson was rank with raw sewage, toxic chemicals, and oil pollution. Musician and activist Pete Seeger along with several friends had a vision to build a majestic replica of the sloops that sailed the Hudson in the 18th and 19th centuries that would bring people to the river where they could experience its beauty and be moved to preserve it. 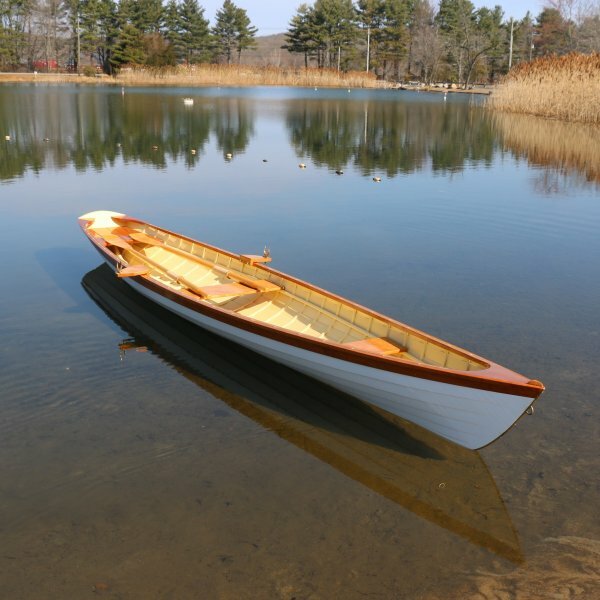 Kaci Cronkhite’s talk, “Finding PAX: Solving mysteries, restoring history, for the love of a wooden boat,” is a story of discovery and reconnection like no other. Having fallen hopelessly in love with a 1930s Danish spidsgatter, circumnavigator Kaci embarked on an international search to unravel the mystery of the boat’s past, and discovered the many lives PAX touched since she first hit the water in 1936.